I couldn't have asked for a better experience - great dealership and even better people. As a first time car buyer, I had a lot of questions and Josh Stoll was hands down the best sales advisor. He answered all of my questions, got me exactly what I wanted and made the whole car buying experience really enjoyable. I came all the way from Milwaukee and ended up leaving with my dream car the same day, all because Josh made it possible! I highly recommend Bill Jacobs Volkswagen and would advise anyone looking for a new car to visit their dealership and ask for Josh. Promise you'll be happy you did! We enjoyed our experience purchasing a car from Bill Jacobs VW in Naperville. PJ was very helpful in getting us into a beautiful pre-owned TDI Jetta that we saw on the Autotrader website. I would recommend this dealership to anyone looking for a new or pre-owned vehicle! Bought a car at VW PJ was a great help!!!! Matt made the whole process painless, quick and easy. Also, great wax on the floors! Gleb Simanovich helped me so much today to make sure I understand every single detail about the car that I bought today also he did not push me to do something that I did not want. He treated me like a friend with great advices for me it's very important that nobody push me he saw my needs I will never forget this guy. I recommend him and will tell my friends! Customer service best in this area for sure! Called ahead of time for the car I wanted to purchase, told them need it ASAP! Josh was my salesman, he got all paperwork ready for me before I even got there! I was working with Matt in finance, and wasn’t happy with my rate, so he called bank and lowered it to the point I was ok with. I changed my mind about the color of my car, so Josh redid all papers really fast and I drove off with my new car!!! My suggestion it’s just ask all the questions you may have, and make sure you get your answers! Happy customer! 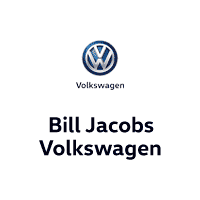 What an easy and great experience buying a car was at Bill Jacobs Volkswagen. Cesar was wonderful and fully explained everything. Great place, great people, feels like being home. That's the best I can say about the place except they have great coffee.